There are many things about this that make me curious. Why is that woman holding the roller as if it were a microphone? What's that expression on her face? 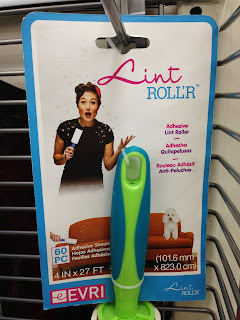 Why is the lint flying all around her if the roller is supposed to be effective? And what's the deal with "Roll'r"? I guess it just had to be trademarked.